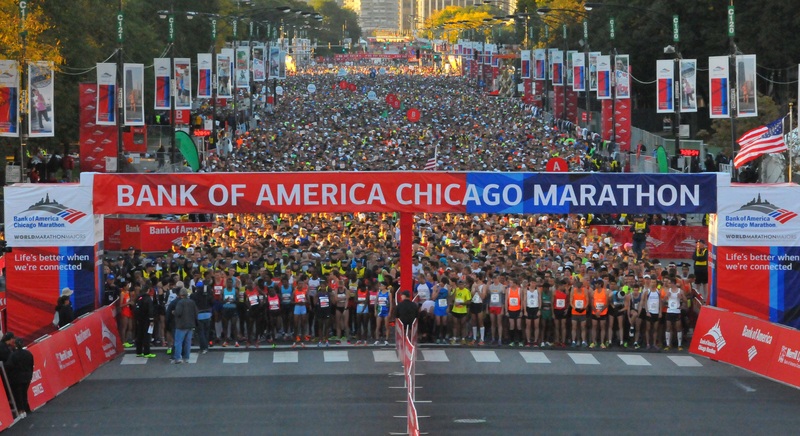 Sunday, October 11th will mark the 38th running of the Chicago Marathon. Founded in 1977 as a rival to the New York City Marathon, the race has swelled from its original 4,200 runners to a field of more than 40,000. To say that the Chicago course is fast would be an understatement. World records in both the women’s and men’s marathon have been broken at Chicago four times. The course records holders – Dennis Kimetto and Paula Radcliffe – happen to be the respective world record holders as well. If you’re looking for a course that will allow you to run your fastest time, you could do worse than Chicago. Which is precisely why Watson selected this year’s Chicago Marathon for his run at the 2016 Olympic standard. Like marathon legend Jones, Watson is a notoriously gutsy but sometimes inconsistent runner; his fade-from-the-front approach to the marathon, which has contributed to some of his more spectacular blow-ups, has also fueled many of his most daring and inspiring performances. Watson’s old-school running style eschews tactical running in favor of a sort of no-holds-barred, pure-guts, balls-out foot racing. It should come as no surprise, then, that the Canadian distance runner welcomed the recent announcement by Chicago Marathon organizers that they would no longer be allowing elite pacers in the race. Chasing the 2:12:50 standard for the 2016 Olympics in a strong elite field like Chicago should leave Watson with no shortage of competitors to run with. And while the standard would mean a personal best of nearly 40 seconds, Watson has proven before that he’s capable of running times that might otherwise appear to be out of his depth. 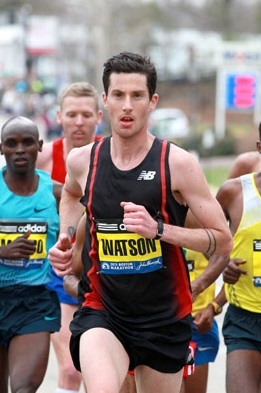 If Dylan Wykes, Reid Coolsaet, and Eric Gillis represent the pantheon of the current Canadian men’s marathon elite, Watson is a comparative outsider: gutsy, capable, and – in his bid for a spot on the 2012 Olympic team – just a hair’s breadth shy of the mark. As Coolsaet proved again in Berlin last week, his place at Rio 2016 is a forgone conclusion. 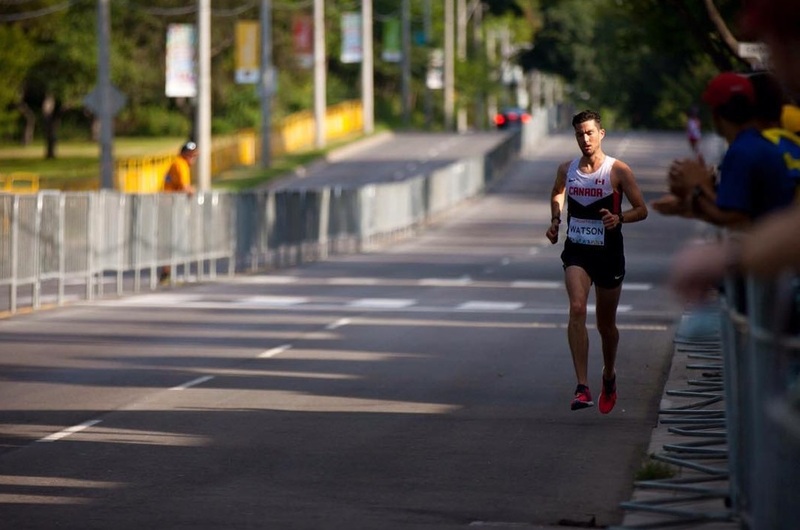 Gillis, who met the qualifying standard for the 2012 London Olympic team by a margin of only one second, will be chasing the Rio standard again at the Toronto Marathon later this month – exactly one week following Watson in Chicago. A qualifying time for Watson in Chicago would electrify the Toronto Marathon, and light a fire under not only Gillis, but also up-and-coming marathon elites Matt Loiselle and Kip Kangogo. It would certainly turn the Canadian Marathon Championships into a race to be remembered. But timing aside, it’s impossible not to root for Watson’s Olympic dream. There’s a purity to the Rob Watson style of racing, a charming blend of ego and humility, ambition and lightheartedness, competition and camaraderie. Godspeed, Robbie. Go give those Chicago streets the Steve Jones treatment!